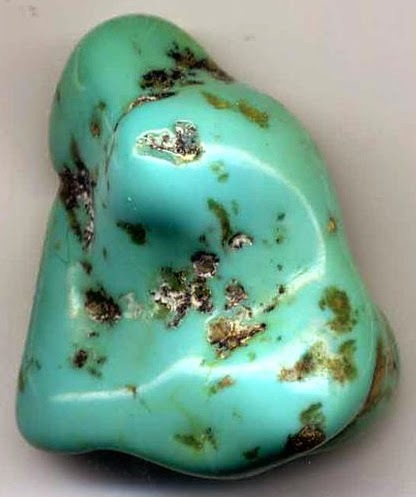 Turquoise gem production depends on the whims of nature for its formation. There’s not a lot available. 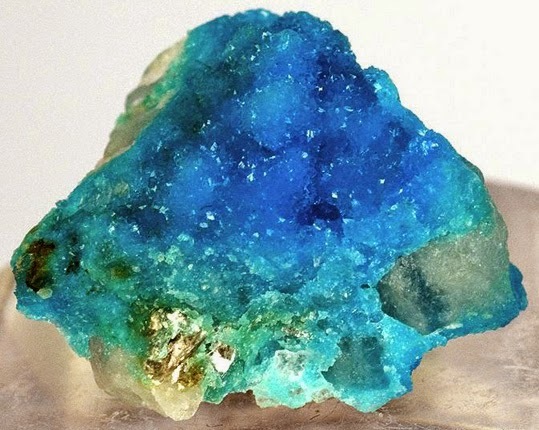 The source of turquoise chemically is hydrous phosphate of copper and aluminum. Some think of it as petrified water. As water filters through rocks, it evaporates and dissolves minerals. After eons of this process of weathering and oxidation, at times veins of shades of blue and green stones materialize. More than 2,000 years ago, Persia (Iran) mined this stone known in that region for its pure robin's egg blue color. Early American tribes such as the Aztecs, Pueblos, Navajos and Apaches cherished the stones for mystical protection and empowerment. Mexicans and Spanish explorers considered turquoise a worthless rock. 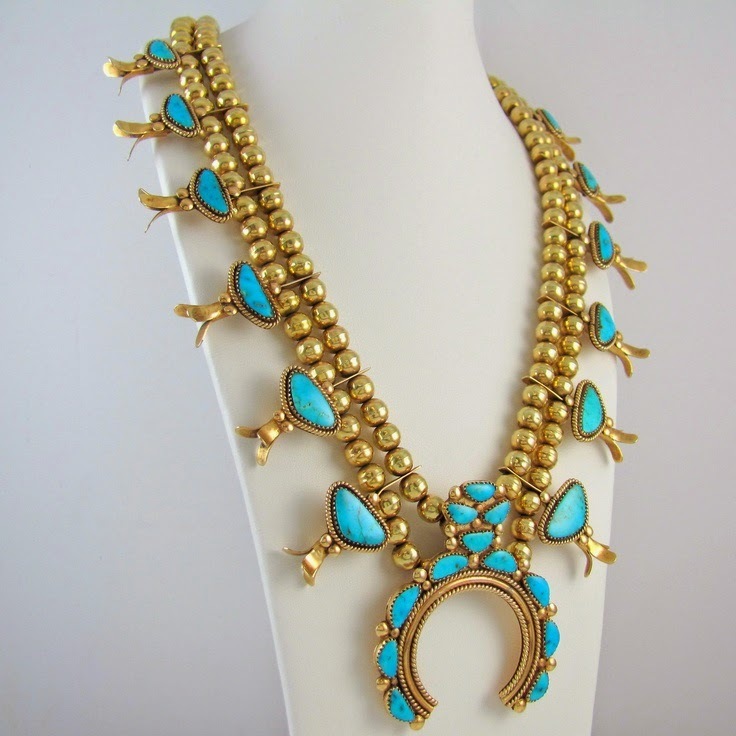 The Navajo turquoise jewelry making inspired by Europeans and based on Pueblos mining skills increased its popularity. Today turquoise worldwide is rare. Here in the States, it's hard to find. Deposits are usually not very large and may yield for only a few months or years. Most in the U.S. discovered in Nevada, mainly in Esmeralda, Mineral, and Nye Counties. Even there, mining as a rule is done on a small-scale operation. And mainly by families. considered valuable. Unique shades of bright mint to apple to neon yellow green can also be found. Zinc and iron mixed in causes bright green to yellow-green shades. Turquoise is a strange stone to value and depends on customer preferences, the region, culture and traditions. Some like them green. Others want blue. There are shades in-between and mottled varieties. Spider web markings display brown, black, red or gold webbing. 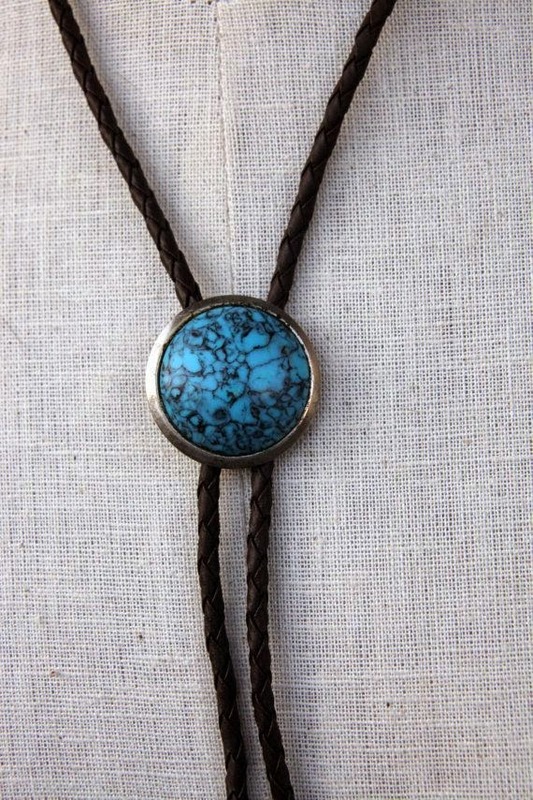 modern day cowboys throughout the western states wear turquoise bolo ties. While most turquoise jewelry crafted is set in silver, in my WIP Wind in the Wires, a squash blossom necklace made of gold and turquoise has almost priceless value and plays a prominent part of the mystery and intrigue in the story. I love the dark blue of the stone. It's such an amazing color! I'm not a fan of turquoise, but you may have changed my mind! Interesting post, and I love the blues and greens of the first photo. The jewelry is lovely. A great post. I love turquoise jewelry, and wish I had more of it. I've always wanted a squash blossom necklace. That blue stone at the to is gorgeous. I like that it comes in variations, and this answers my question of why. Most of my turquoise pieces have been purchased in Albuquerque or Santa Fe New Mexico.